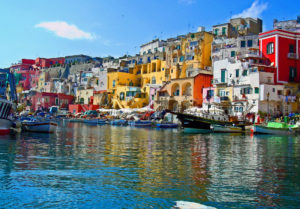 Procida is the smallest island in Naples’ gulf. 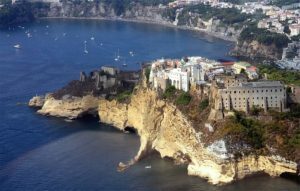 In other articles we have seen the beauties of Capri island and the activities to do on Ischia island. 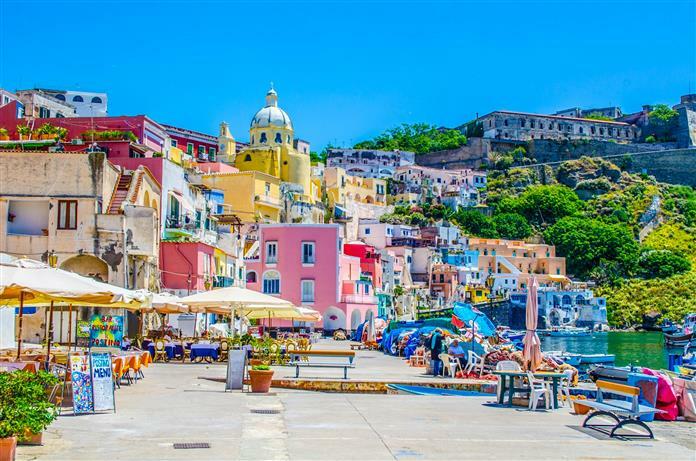 This time we show you 5 things to do in Procida island! There are some good activities you have not to miss when you’ll visit the island. Let’s check those out! Without doubts one of the things to do on Procida island is visit the harbor. You will be excited when you’ll see the harbor. Perhaps, Procida’s harbor is better than Napoli’s harbor. The atmosphere on Procida island is really unique. You can feel the atmosphere especially if you book a lunch in a typical restaurant of the island. You can delight the best food of neapolitan tradition! Procida has a beautiful sea! You can take a dip in blue and deep water, certainly you will experienced relax and comfort. 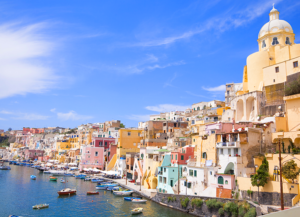 In fact, take a dip in the sea of Procida is something absolutely not to be missed! Terra Murata is the historical city center. In the city center, you can visit also the amazing D’Avalos Building. If you love the ancient art and culture you have to include this activities on your list of things to do in Procida! 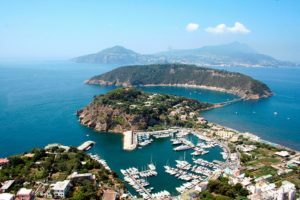 Vivara isle is next to the island and it’s one of the best things to do in Procida. It’s a natural area where there are some beatiful flowers and animals. Sometimes the isle is closed to the public access, but with some luck you can visit Procida island when the area is open!